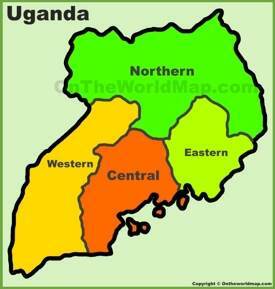 Uganda is officially named the Republic of Uganda located in East Africa. 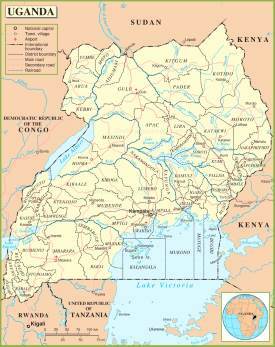 It borders Tanzania in the south, Rwanda in the southwest, Democratic Republic of the Congo in the west, South Sudan in the north and Kenya in the east. 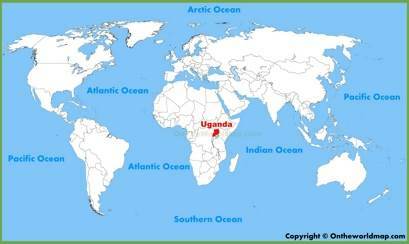 In the south it surrounded by Lake Victoria, which is one of the biggest lakes in the world. 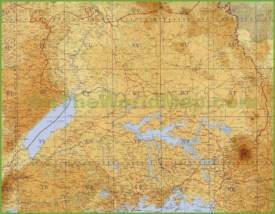 Uganda has other lakes: Kyoga, Lake Edward, Lake George and Lake Albert. 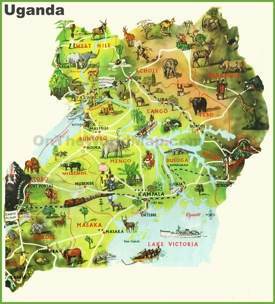 Uganda name comes from the Buganda kingdom. 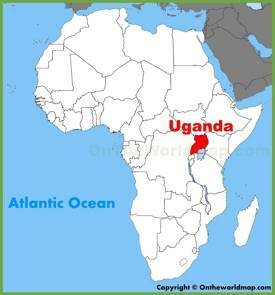 Kampala is the capital and largest city in Uganda. English and Swahili are official languages. There are many other vernacular languages in the country. 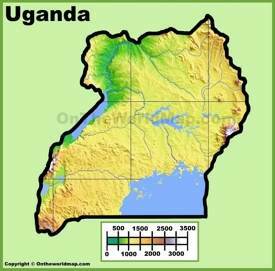 Many Asians mainly Indians live in Uganda, however the culture itself is very diverse. Area: 93,065 sq mi (241,038 sq km). Largest cities: Kampala, Gulu, Lira, Mbarara.